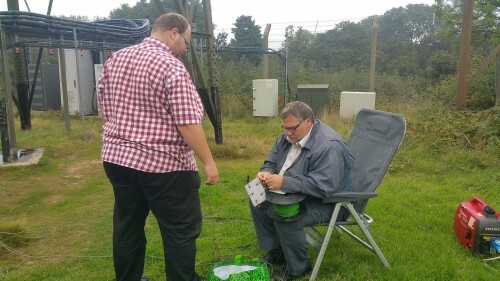 At the SNBCG operating site we have the opportunity to out up some large antenna, and for some time we had wanted to try 472 KHz using George M1GEO WSPR transmitter. 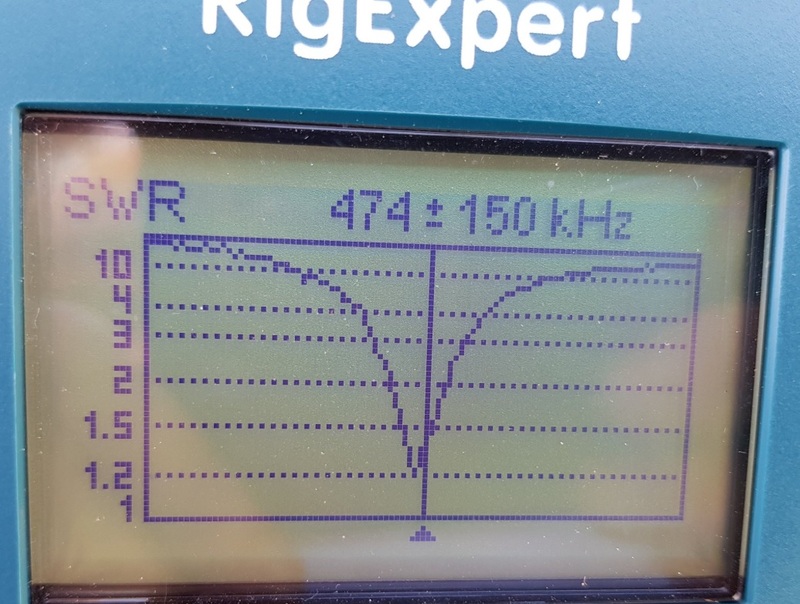 The plan was using the onsite 50m cellphone mast* to pull up some wire, and with some work hopefully, enough wire to have a 1/4 wave on 472 kHz. 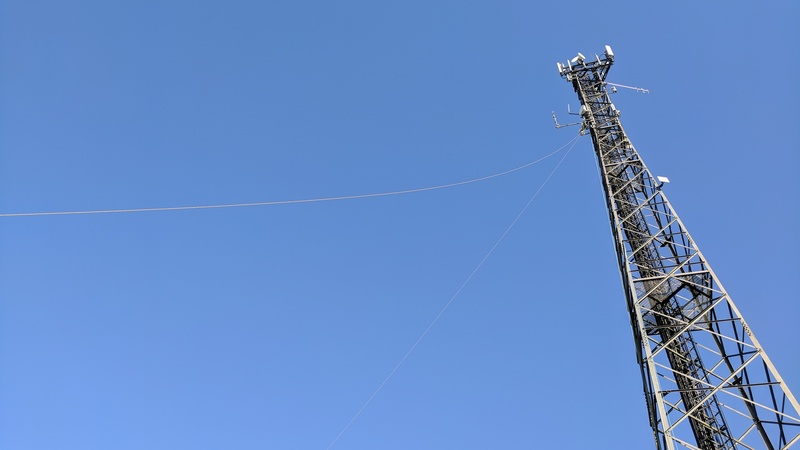 We calculated it would require around 150m of wire, and we had a pully on the mast at 42m, so we could pull up the first 50m as a vertical, and then have the next 100m sloping down from the last forming an “L” shape as best as we could into the next field. The transmitter would be grounded to the mast earthing point, and we would run the 10w transmitter at the base of the mast overnight. *for the avoidance of doubt we have permission to use the mast from the site owner. 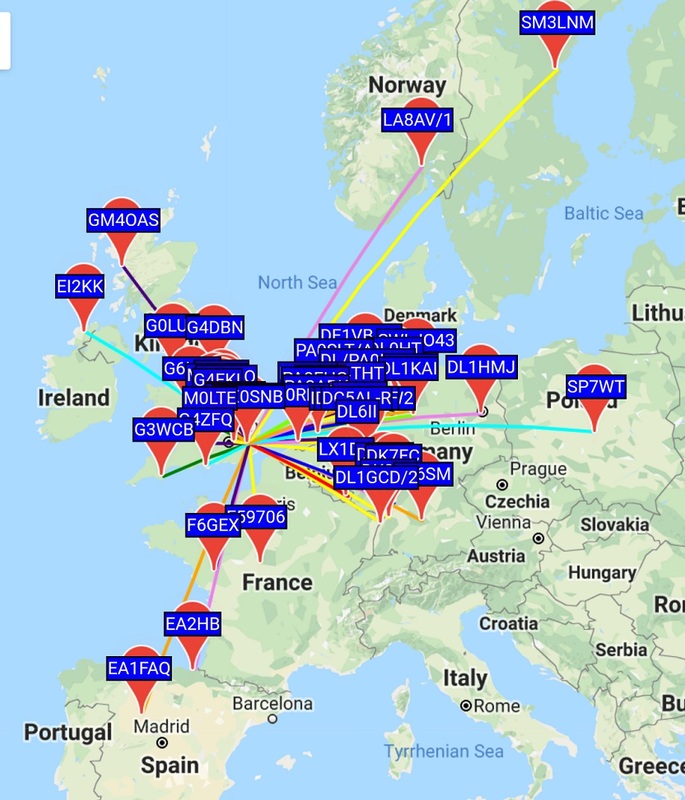 We left the transmitter running overnight from JO01DQ with the call GB0SNB, and was delighted to see a number of reports all around Europe. Here you can see the tower and yellow wire making its was up from the base, and then into an adjacent field. 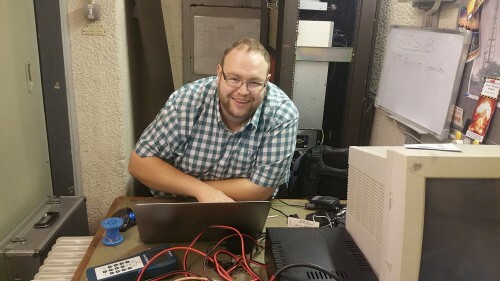 Today I was able to operate the special event call sign GB0SNB from the Kelvedon Hatch Secret Nuclear Bunker. Hellschreiber was my mode of choice, its fun and easy to identify on the air and also quite rare. Operating was completed from the original home office radio room deep inside the bunker. 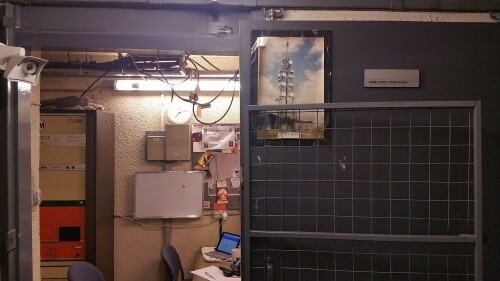 Here you can see the door to the “Home Office Radio Room” and a picture of the mast when it was full of microwave links connecting the site to a number of other locations around the country. The radio room is located 3 levels below ground. The radio room is located directly below the radio mast, and a tunnel connects you to the surface. 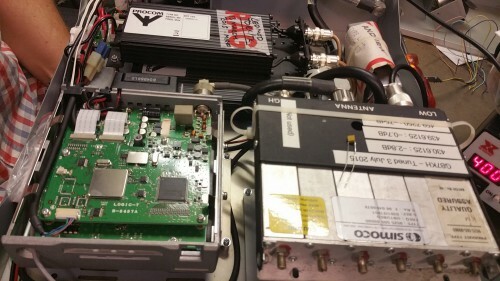 Feeder cables run towards the surface and connect to the doublet antenna. Here you can see the radio room and both modern equipment (used for GB0SNB activations) and period equipment. The laptop is running Ham Radio Deluxe and using the digital mode HELL. 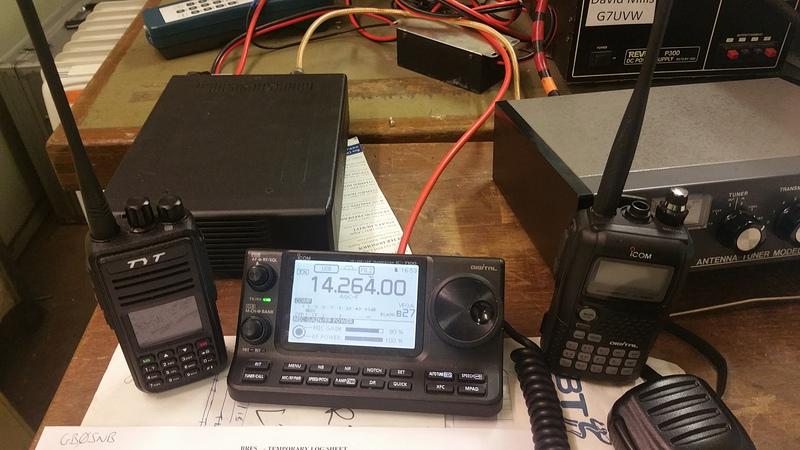 The Icom 7100 was running 50w RF into the clubs doublet antenna located 26m on the mast. The doublet antenna is 40m per leg. A cup of tea is required to keep the operator warm, its not often above 12c in the shack. I managed to work several station from Belgium, Netherlands, Germany, England and Sweden on 7 MHz and on 5.3665 MHz I used Olivia MFSK. The bunker is also a museum so often busy with members of the public most days of the week. 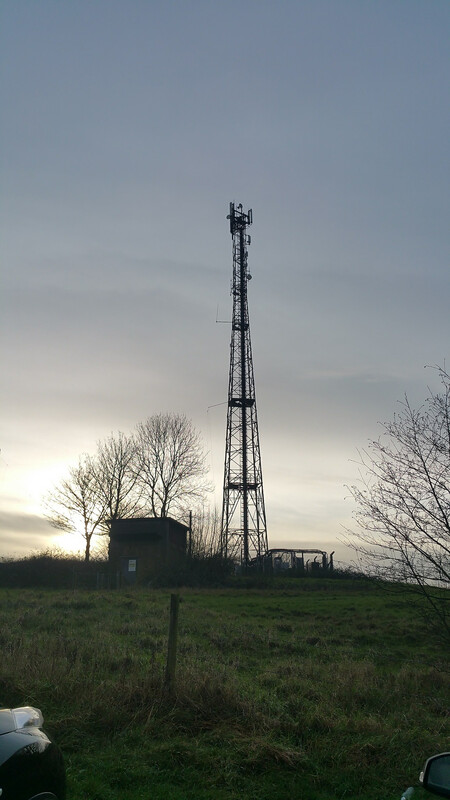 The mast is also home for GB7KH the Kelvedon Hatch Dstar repeater. 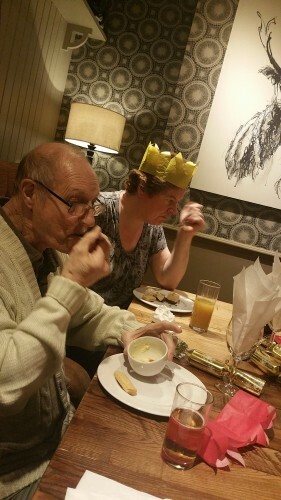 Members of the newly formed Secret Nuclear Bunker Contest Group met for its inaugural Christmas dinner this weekend. 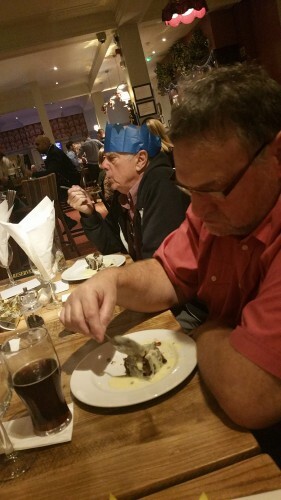 The event was well attended by 10 members, enjoying a traditional Christmas dinner, crackers and unavoidable cracker jokes. 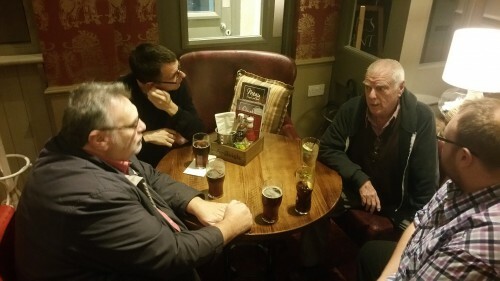 Pre meal drinks, from left to right Chris G8OCV, Dave G7UVW, Bill G0BOF and George M1GEO. 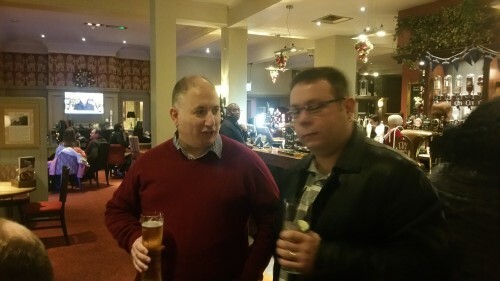 Left Kevin M0TBX and Dave M0YOW enjoying a beer. Thanks to Peter G0IAP for organising the event and to everyone that attended. The SNBCG is now affiliated to the RSGB and holds the club call M0SNB and permanent special event call GB0SNB so look out for us in contests in 2016. 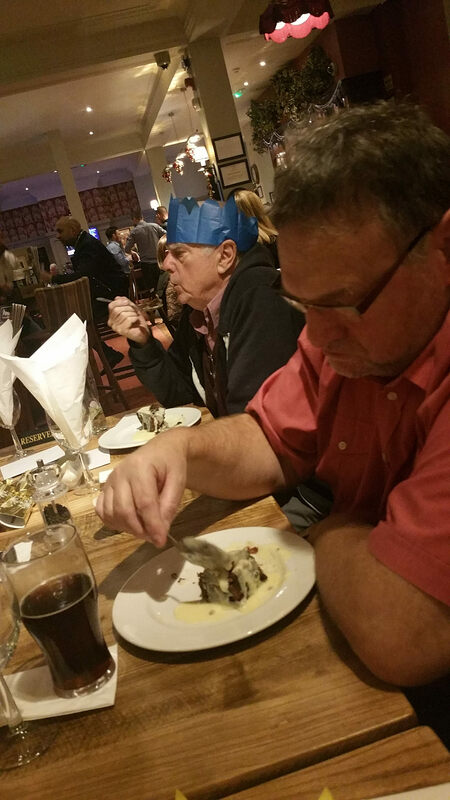 On Saturday I operated from the Kelvedon Hatch Secret Nuclear Bunker near Ongar. The bunker is a large 3 level underground site, with a 50 meter mast on the roof. The bunker was active until 1994. The bunker has a permanent special call sign GB0SNB and is open to the public as a museum. Working with George M1GEO we completed some QSO on 5 MHz, 14 MHz and some VHF contact on 145 MHz. You can read more about the bunker online, and if you’re local why not plan a visit. The current owner Mike Parish gives you a virtual video tour below. 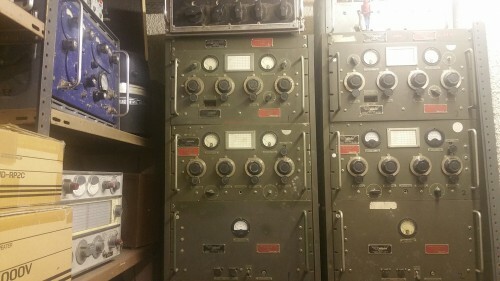 Operating is completed from the original home office radio room, although this equipment is on the back wall its only for show. Here you can see George M1GEO tinkering with the IP and the co-located GB7KH DSTAR repeater. GB0SNB – Kelvedon Hatch Secret Nuclear Bunker. 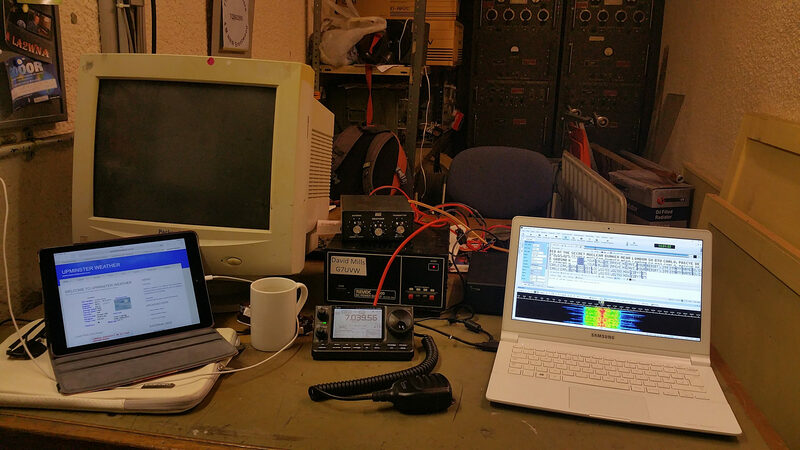 Spent some time this weekend operating from the Secret Nuclear Bunker at Kelvedon with George M1GEO. The bunker has a permanent special call GB0SNB and we put this on the air both VHF and HF today. 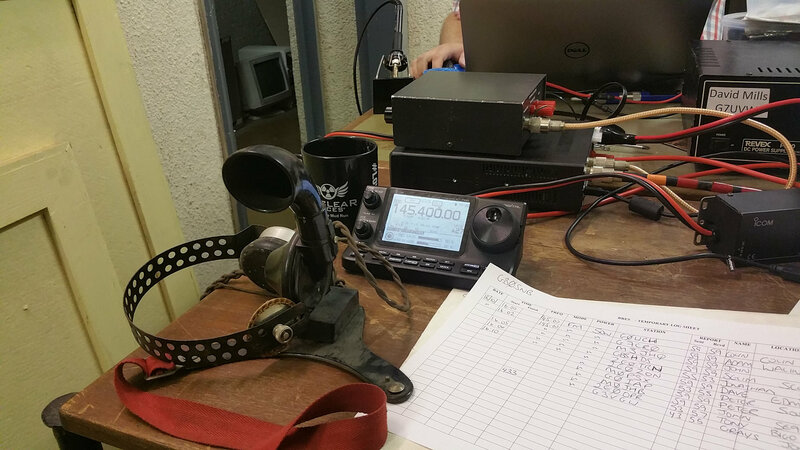 It was nice to see 7 MHz in good shape, full with the JOTA and WAG contest. 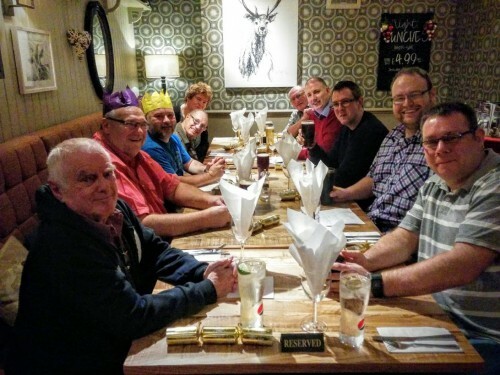 More information on the bunker is available at the GB0SNB website. 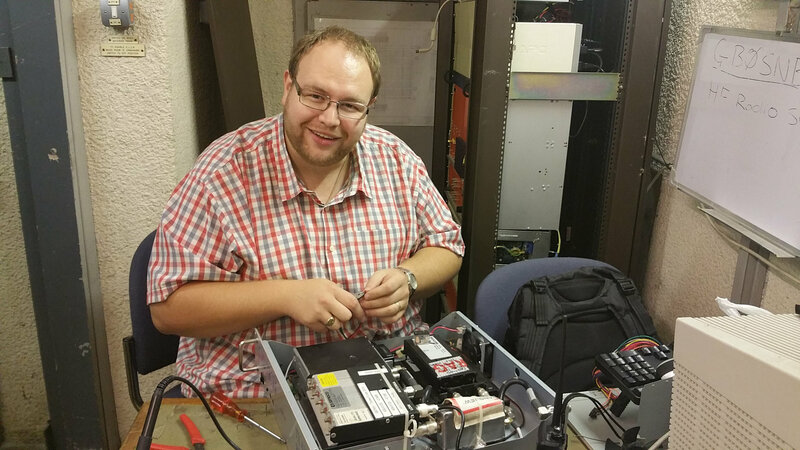 Here is George M1GEO maintaining the GB7KH repeater. Exposed on the side of a 50 meter mast the antenna often requires maintenance. 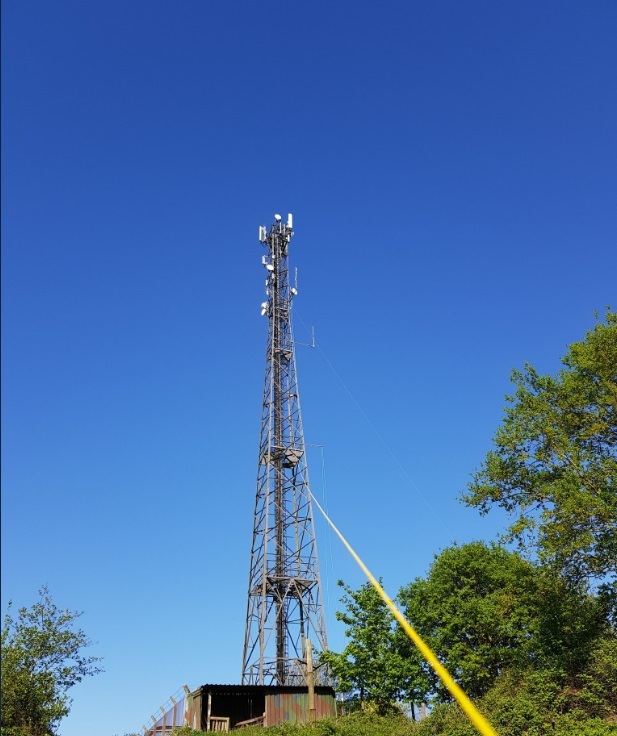 George M1GEO and Chris G8OCV have over the years perfected the best way to mount the antenna, and on this occasion is had lasted close on 2 years. Antenna maintenance in the afternoon sun is much preferable to winter rain, so we too advantage of the weather to pull up the new doublet antenna. 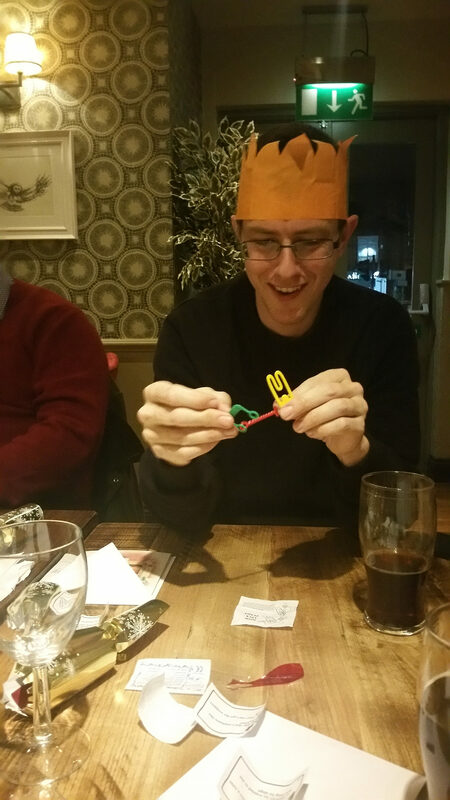 The doublet is 40m per leg, into 300 Ohm ladder line and then a 4:1 Balun. The centre of the antenna is made from a plastic chopping board from one of the discount value stores, ideal for insulators. The wire is multi strand 13A flex, ideal for antennas and hopefully robust enough to survive the winter weather. The centre of the antenna is pulled up onto the mast, elevated to 20m and the ends are on one side into a tree and the other a warning siren. Its quite difficult to locate suitable points for the antenna ends, and elevation without snagging in the local trees is always a challenge. Once setup we managed a couple of QSO on 80m.